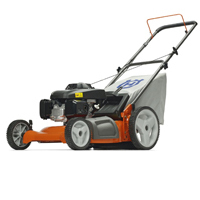 If you’re lucky enough to have a large garden or you don’t like the idea of an electric cable snaking round your lawn, then gas mowers are worth a look. Of course even if you’ve got a smaller garden you could use one of these but they are more commonly used for medium to large sized gardens. Free Movement – You are not tied to a power socket so you can mow wherever you need to. 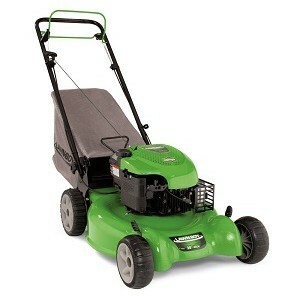 This becomes pretty useful if you’ve got a large garden or an out of the way patch of land you need to mow. 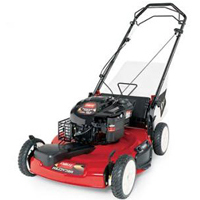 More Power – Gas mowers offer you more power than the electric powered alternatives available to you. This generally allows them to deal with longer, tougher grass a lot easier. The extra power also allows you to mow a larger area of grass at a faster pace. 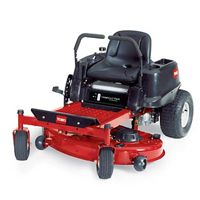 Solid Built – These mowers usually have a metal cutting deck as opposed to a plastic one, which is more durable and is likely to stand the test of time better than an electric mower if maintained well. 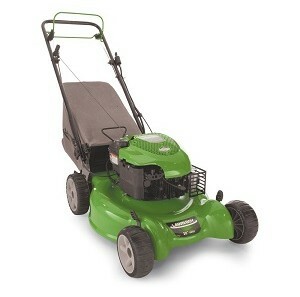 No Time Limits – Unlike with a battery powered lawn mower, you’re not restricted in terms of mowing time. Obviously you can run out of fuel, but it only takes a jiffy to re-fuel, unlike recharging batteries which can take at least an hour or so. This is a key advantage if you have a larger garden.